A Modern Mom’s Life is a year old now! My blog life is still a bit of a struggle, but I feel like I’m finally comfortable with the amount of posts I’m creating. Plus, I taught myself how to make a static front page. (Yay me!) So it must be time to expand my horizons a bit, right? If I’m ever going to make money in this arena I have to put myself out there. I feel like I can hide behind the blog, and just be an anonymous mom blogger, but that’s not going to get me anywhere in, is it? It’s time to branch out. My first baby step was getting business cards made. I think they look pretty good, although the text could have been a font size larger, now that I have them in hand. They’ll do, and if I manage to distribute 250 of them, I’ll edit the font for the next round. Local networking is tough. I went through a spurt of writing to local businesses and attractions but I rarely got any responses. So I went back to working on my social following, and just writing for my blog. I think focusing on my blog life is the best way to grow my online presence. Now that I’m seeing a bit more growth on my blog I’m thinking about taking a different direction. Not for the blog itself, but for alternate ways to get my words out into the world. I want to write for others. I’d love to be published on some other websites. And I’d love to support others on my own blog. But I don’t really want to do it for free. Guest posting on other blogs is great, and it helps get your name (and your blog) out into the blog-o-sphere. I would be very happy to do a little more of that. So far I’ve been on 2 other blogs, but I didn’t see too much traffic coming to my blog from that. Instead I’m starting to look into being a content writer. So far I’ve contacted one company (website) and they replied. But when I responded with a few questions I didn’t hear back. I must have scared them away. But I’m so new at this I have no idea what I’m doing, or what people are looking for. I need a smidge of guidance! Maybe I’ll devote some time over the next week or two to delving further into the world of freelance content writing. But if you know of anywhere looking for writers (who will answers questions when I have them) please, let me know! All that being said, I have also been approached for a sponsored post. This will be my first one and I’m quite excited. It actually has a local slant which makes it more interesting. I’m not sure what I can and can’t share at this point – I’m still waiting on “more information” and a meeting time – but stick around and I’m sure you’ll hear all about it! I plan on sharing anything useful I come across on my journey to be a freelance writer of some sort. I’ve read a lot from Elna Cain, and I enjoy her posts on becoming a freelance writer. I’m hoping to try out a few more of her tips in the coming weeks. I am so excited to expand my horizons and continue to grow in my blog life. Do you have any tips or websites for me to check out while I learn all I can about freelance writing? Or networking ideas for my local aspirations? I’d love to hear them – go ahead and share with me in the comments! I made the business cards and canva – they have a business card option with tons of nice templates. It was an easy step for me. Getting out into the freelance writing world is much more difficult. I’m not confident enough in myself to put myself out there. I’m working on it though! Thanks for the comment!! I’m finding there are not a lot of places here in town for me to leave my card. I carry a few in my purse, just in case. I think you should try guest posting. If you have some parenting material I’d be happy to host a guest post of yours on my blog. Feel free to email me to talk about it! 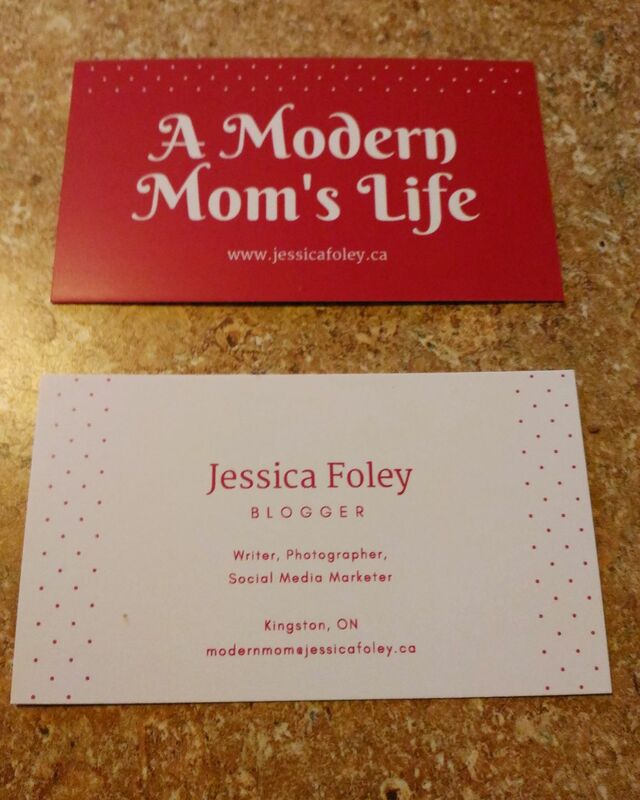 I’m in the same boat as you, Jessica: Trying to get the word out there, scared a few opportunities away with some follow up questions, finding ways to bring traffic to my blog, looking for sponsored opportunities that fit my readership. It seems like it’s taking forever to be where I want to be. So far, working on my pinterest game has helped a bit. I’ve recently seen some benefit from a bit more time spent on Pinterest as well. Guess that’s my next avenue to really delve into. I’m happy to hear you’re in the same boat as me – not that we’re stumbling around, but that I’m not the only one wanting to do more but not really knowing how (and scaring off a few potentials!) I wish you the best of luck, and if you find a secret formula to successful blogging, make sure you share!! I think this is all extremely impressive. 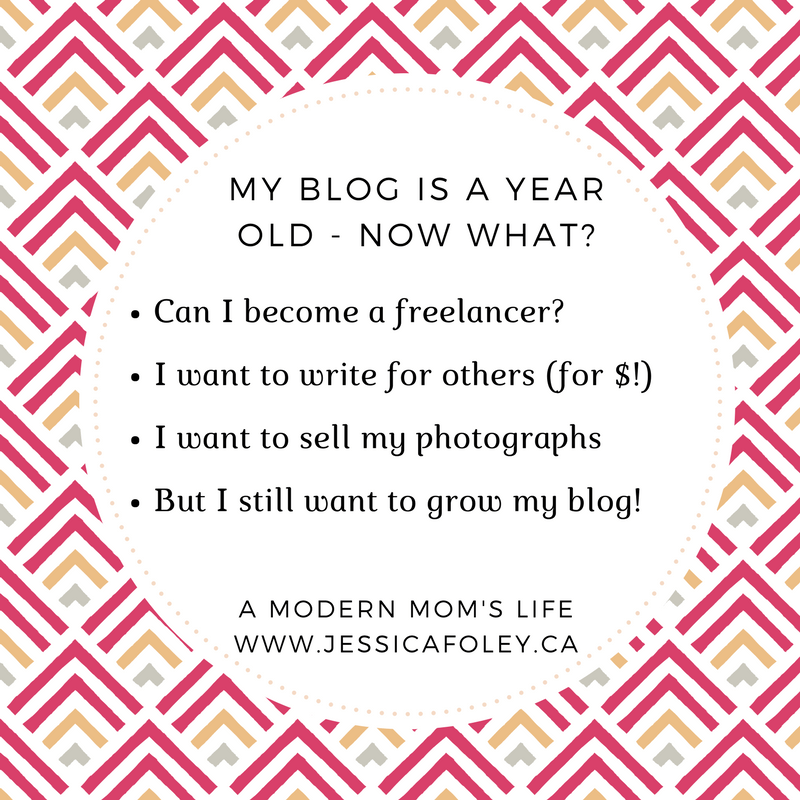 I’ve been blogging for 3 years, and I can’t get in with BlogHer. I have acquired some freelance work, but I have no tips for that really b/c it was someone I knew who had a much bigger website than mine and just needed a blogger. Sponsorships just land in my email box too, and I can give you a good tip for that. Have you listed on topmommyblogs.com? I listed on there, and I put the voting icon on my site, so people click it and my rank stays high. Companies find me on topmommyblogs.com and offer me work. It’s a nice set up. I will check out topmommyblogs.com – thanks for the tip! I still feel I’m pretty small to attract big brands, but I am always pleasantly surprised when I’m asked to collaborate. Thanks for the comment! Thank you! Making the cards was actually quite simple – deciding what to have on them was the hard part! As a fairly new blogger (5 months) myself, I understand where you are at. I still need to work on so many things. I am working on a post now that offers sites who will pay bloggers and freelancers because I want to find more ways to earn money too. Congratulations on hitting the one year mark! Thank you! I’m interested in reading that post once you get it ready. I wish you many successes with your blog! Congratulations on blogging for one year!! I am impressed that you even have business cards so early on. You clearly know what you are looking for and should follow bloggers who have taken a similar route in order to gain pearls of wisdom. I have been blogging for almost three years and absolutely love it. I am not earning from it yet but have plans for it. Thanks Phoenicia! Sometimes I think I put too much on my plate. I have to remember there are only so many hours in a week! I wish you the best of luck with your own blog. Hi Jessica. I’m coming here via the BHB group on LI. First tip is, respond to your blog’s comments! Try to do that within a couple of day’s of the original comment being posted on your site. 2nd tip: Join a writer’s group or guild in your area. I’ve been a freelance writer since 1993, and I immediately joined some networking groups to get myself known and make some good alliances. 3rd tip is: try to develop a niche. There is so much competition out there that having a speciality will help you stand out from the crowd. Best of luck. Thanks for your tips Doreen! I was staying on top of comments, but I let that slide. I’ll make that my first job – consistent comment replies. Then I’ll work on the rest. I appreciate you taking the time to share with me! Thank you! I wish you many successes as well! Congrats to you on one year of blogging! That is awesome you got a sponsored post! Wishing you well and I can’t wait to see what the future holds for your blog! It is awesome – and it came out of the blue. I’ll be sure to keep my readers updated with my struggles and successes! Good luck and keep us posted. Love to see how it turns out. Thank you for the comment. I’ll keep everyone posted! Hi Jessica, congratulations on your first year of blogging. It’s certainly a learning curve! I, like you, would like to take my blog to the next level, but have little idea how to really go about it, so I cannot offer you any advice, apart from follow that dream and keep trying! I do like you cards, that is something I should really do myself too. Thanks Deb! It’s hard to really figure out how to move forward without spending money “learning” from courses and whatnot. I have gone through a few (free) online courses but they still don’t really help you step-by-step. If we’re all learning together, maybe we can share tidbits along the way! Even in another year, you’ll find you are still defining what blogging means. Congrats on your anniversary! I’m sure you’re right Carol. Thanks for the comment! I am always up for some company! If you’d like to be in my “tribe” just subscribe to my email list and follow a few of my pages. I often reach out for advice or input for upcoming posts!